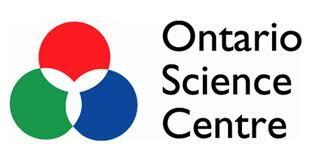 The Ontario Science Centre delights, informs, and challenges the communities we serve. We enrich people's lives and their understanding through engagement with science of local, national and global relevance. We are the public centre for innovative thinking and provocative dialogue in science and technology. The “50th Birthday Celebration" is a series of special events taking place March 1 to December 31, 2019. Most of the programming will be held at the Science Centre, but there will also be collaborations with external groups off-site as well, including the Museum of Contemporary Art. Special anniversary events and major 2019 exhibitions include: (1) Anniversary Birthday Weekend (free admission) - September 28-29, 2019: (i) guest speakers TBD: (ii) sponsor programming (showcasing components that highlight technology and innovation in our everyday lives, including VR experiences and Smart Home integration: (ii) presentations by partner organizations (Indonesian Dance Troupe, Aga Khan Museum, Japanese Cultural Centre, youth-led steel drum bands, and Tassa drummers; (iii) Toronto’s first responders such as firefighters, mounted police and paramedics will be invited as part of their community outreach and public education programs; (iv) “Innovation in Mas" Award Showcase (costume entries in the Toronto Caribbean Carnival displayed on site); and (v) “Celebration Way”, new experiences that will focus on the changes in science and the Centre over the past 50 years; and (vi) the 50th Anniversary Birthday Celebration Ball on September 26th; (2) “Astronaut” and “Women in Space” (Summer of Space), May – August 2019: Produced by SciTech (Australia) and NASA, these two new exhibitions are also scheduled in conjuction with the 50th anniversary of the moon landing. Additional activities will include outdoor ‘Star Parties’, in collaboration with the Royal Astronomical Society of Canada, a space themed film, and a new space program in the Centre’s Planetarium; and (5) “ASTC Conference”, September 21 - 24, 2019: The Centre will host the annual Association of Science Technology Centres (ASTC) conference, welcoming up to 2,000 participants from across the world, giving them an opportunity to explore the Centre and Toronto.